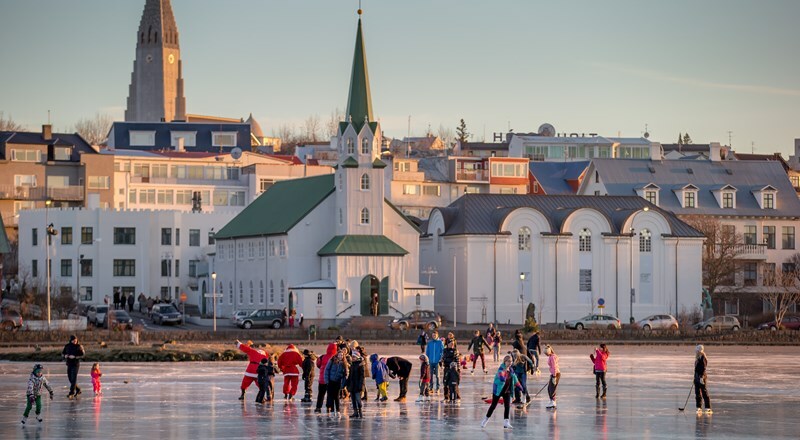 Come join us on this Guided Tour through the South Coast during winter time and explore the most popular sights of Iceland. The South Coast, and the famous Golden Circle. An unforgettable experience during a clear winter night is when the magnificent Northern Lights illuminate the dark sky creating a truly spectacular phenomenon. 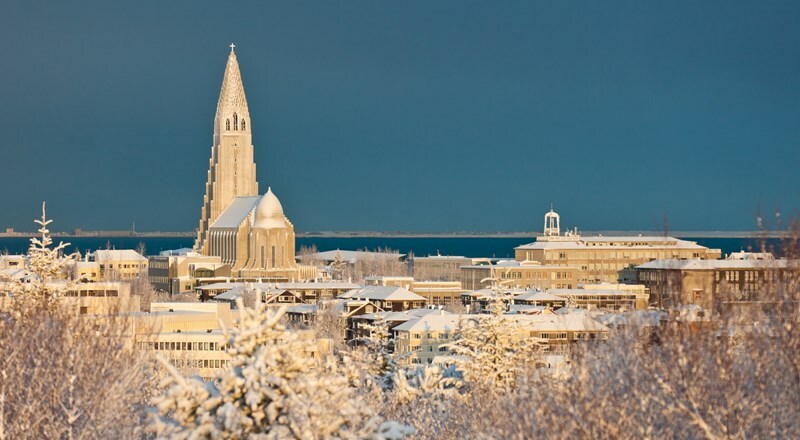 Transfer from Keflavik airport to hotel in Reykjavik with the Airport Shuttle Bus (not included in the price). 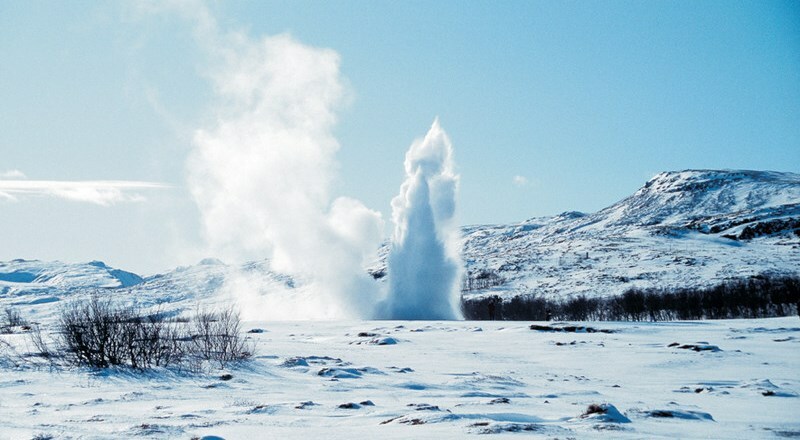 Your tour guide will pick you up at the hotel and we start our trip by driving to Thingvellir National Park. 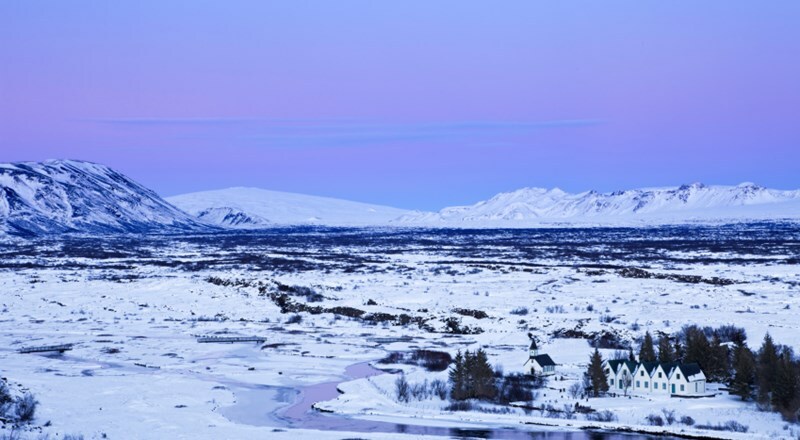 Thingvellir is a place highly interesting from both geological and historical point of view. Here you can see the effects of the tectonic plate movements which has opened various cracks and fissures in the earth crust, and it was here that the Icelandic Parliament was founded in the 10th century. 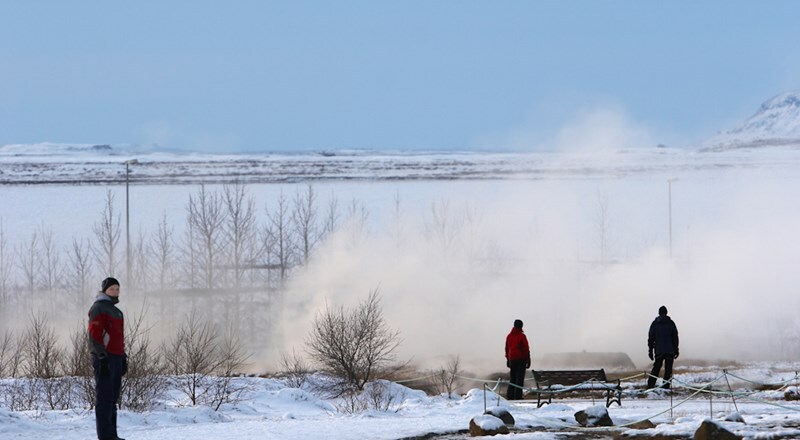 Afterwards we keep on driving along the route of the “Golden Circle” with a visit at the famous geothermal site of Geysir where the Strokkur hot spring ejects its water column high into the air every 5 – 10 minutes. Numerous other small springs are boiling and bubbling all around. 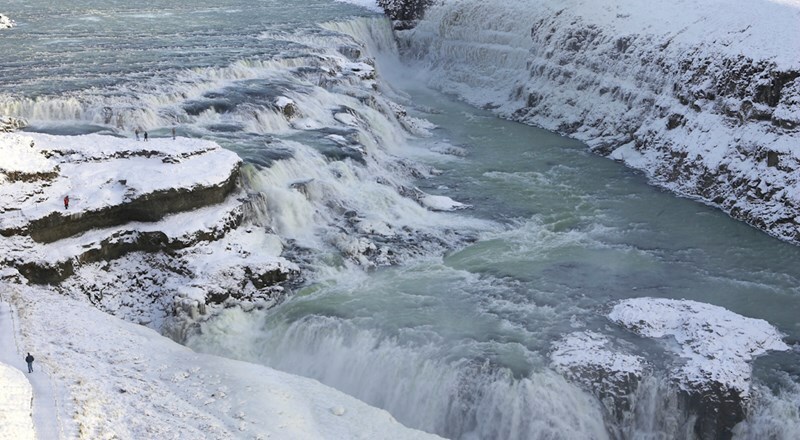 Then we only have a short drive to reach Gullfoss, a spectacular waterfall which Icelanders refer to as the “golden” waterfall. Our next stop will be an interesting visit to the greenhouse-farm in Friðheimar, where we can see how the icelandic farmers use the natural geothermal power to grow vegetables the whole year round (entrance included). 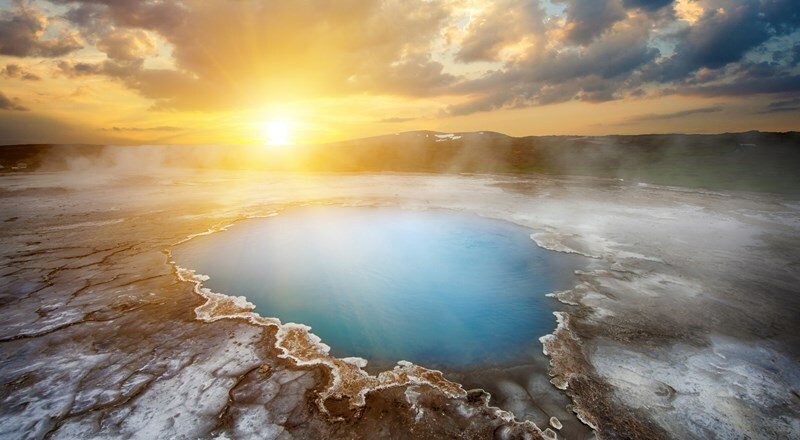 Before we check-in our hotel for this night you get the possibility to try out the geothermal hot water yourself by bathing in one of the many natural hot springs in this area (entrance included). Overnight in the Hella area. 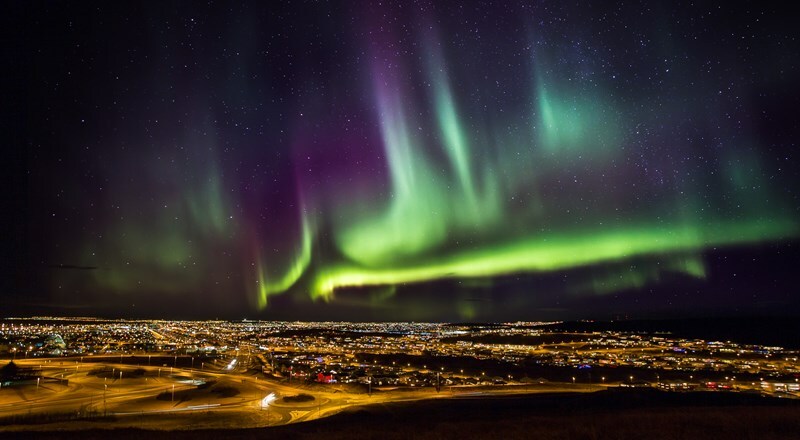 Iceland is known for the awe-inspiring, Northern Lights -- or, as they also are known, the Aurora Borealis. On a clear night, this spectacular phenomenon illuminates the sky, starting to be visible in September and continuing through the the end of April. However, in past years the Northern Lights season is getting longer and longer; in 2017 the first visible Northern Lights was in August. The colors of the Northern Lights can vary from green and white to incredible combinations of purple, pink, red, orange and blue. 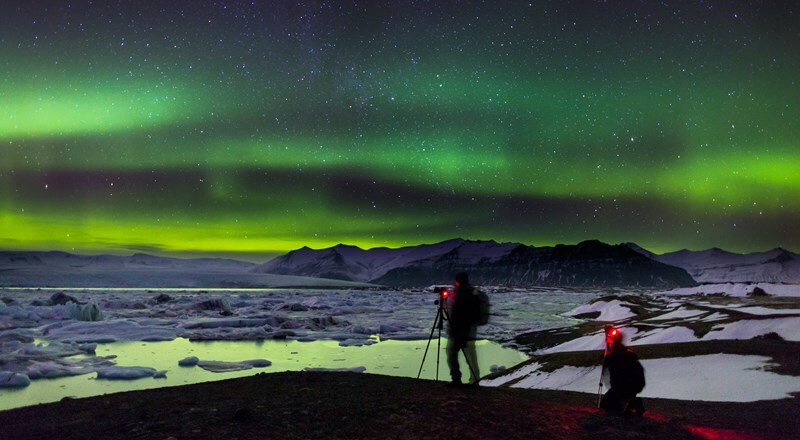 The Northern Lights, often rightfully described as dancing lights in the sky, are a unique experience and something special to be seen for the unique vantage point that only Iceland can offer. In the evening - like on every other evening of the trip - we keep our eyes open in search for the Northern Lights, that appear on the winter sky when conditions are right (our hotels on this tour are among other reasons chosen because of their location away from the light pollution of villages and cities). Today we head towards Iceland’s South Region and the day will take us all the way to the small village Kirkjubaejarklaustur. Along the way we stop at different places like Seljalandsfoss Waterfall, a small but a picturesque waterfall, and Skogar, where we will have a look at the Skogar Waterfall, one of the highest in Iceland. We continue our drive in the direction of Vík. Vík village is worth visiting, located in an idyllic setting famous for the Reynisdrangar pillars that rise from the sea just off the shore. You can take a refreshing walk on the magnificent black sand of Reynisfjara beach with it’s basalt columns of all sizes and shapes, before we keep on driving to Kirkjubaejarklaustur. Overnight for 2 nights in the area of Kirkjubaejarklaustur. This day is dedicated to explore the southeast of Iceland. We cross the Skeidarársandur outwash plains with lovely views of the largest glacier in Europe, the Vatnajökull Glacier. Once we have crossed this vast black desert, we reach Skaftafell National Park, a beautiful area right at the foot of Vatnajökull Glacier which is known for its unique nature and abundant vegetation, like an oasis between the black desert and the glaciers. 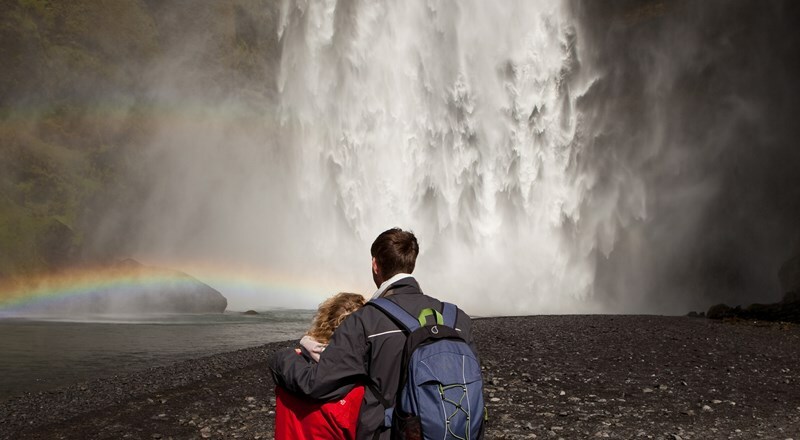 If conditions allow, you have the possibility to take a short hike and visit the beautiful Svartifoss waterfall. 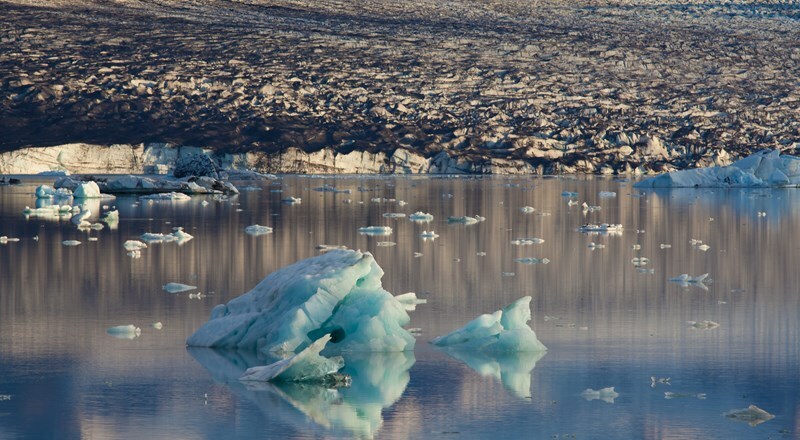 Further east, we then arrive at one of the probably most famous attractions of South Iceland, the spectacular Jokulsarlon Glacier Lagoon, where icebergs break down from the Vatnajökull glacier and float on the lake. Today we make our way back to Reykjavik along the South Shore and visit en route the Lava volcano center in Hvolsvöllur. In this newly opened multimedia museum we get an insight in the tectonics of the earth and especially the volcanism in Iceland (entrance included). 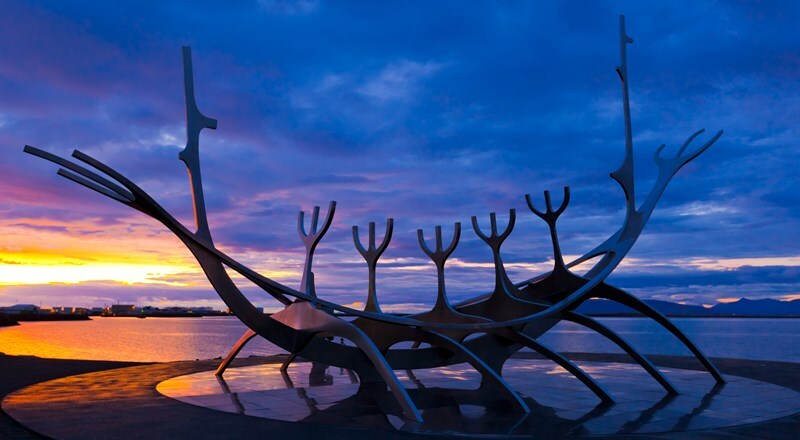 Once we arrive in Reykjavik we finish our trip with a city sightseeing tour through the capital of Iceland. 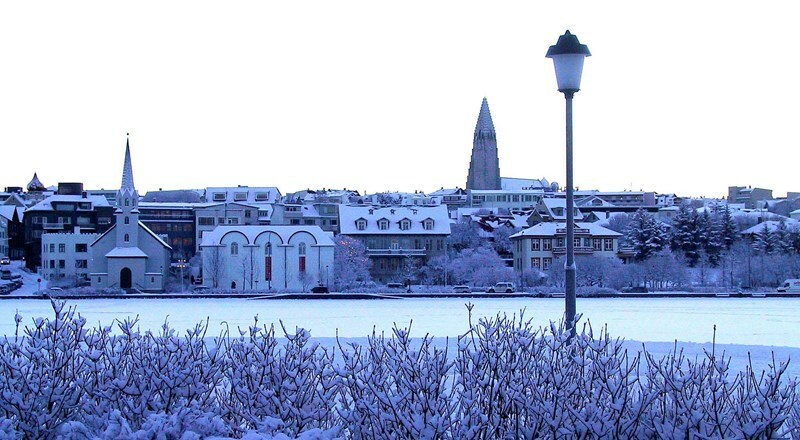 Many of the city’s monuments like the Perlan Building, a dome built on warm water tanks, the Höfdi house, where the Reykjavik summit took place in 1986, the Town Hall and the Parliament in the oldest part of the city are on our list, as well as the Hallgrimskirkja Church and the old harbor. Transfer to Keflavik airport with the Fly Bus (not included in the price). 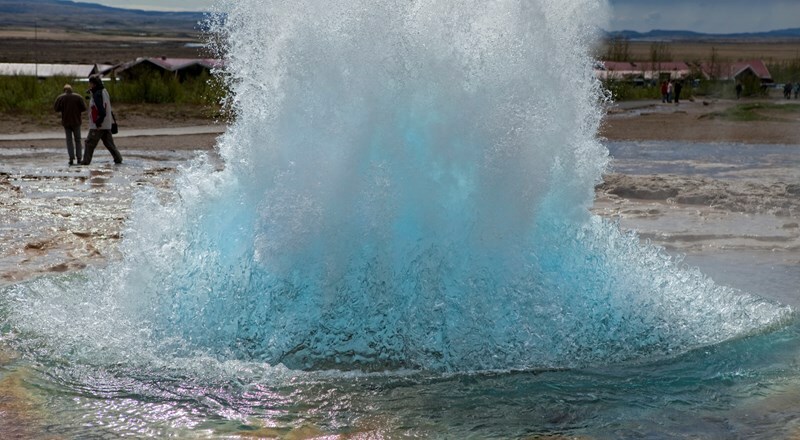 Depending on departure time you have the possibility to visit the Blue Lagoon on your way to Keflavik airport (optional). 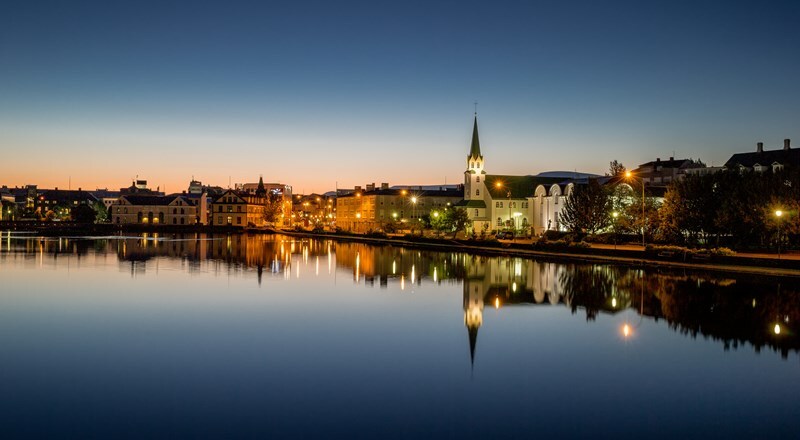 Possibility to book extra nights in Reykjavik and excursions for extended stay. Other not mentioned in the included section. Our trip to Iceland was wonderful. It started with a food tour which Iceland Tours arranged. Our group thoroughly enjoyed it. Our guide offered us a terrific introduction to Iceland with tastes of good food and local culture of Reykjavik. Our tour to the glaciers and northern lights was also very good. Our guide was nice, animated, and very knowledgeable. We enjoyed her very much. The van could have had a better sound system as it was occasionally difficult to hear the guide. The food, hotels and sights exceeded our expectation. The Northern Lights could have been brighter but that can't be helped. The trip was magical and fun. 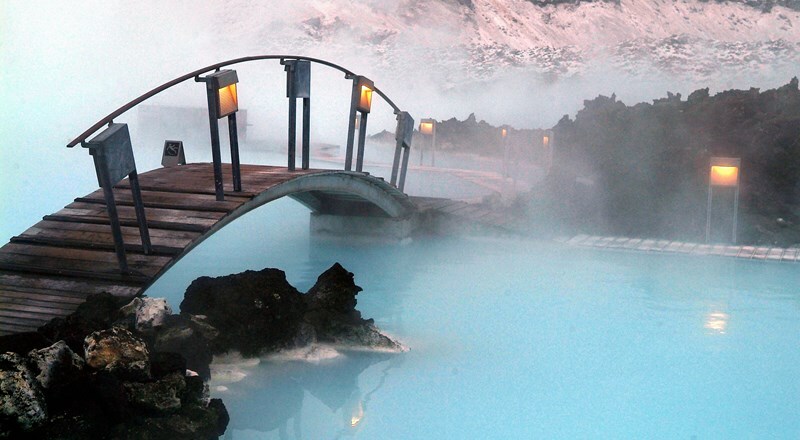 Iceland Tours did an excellent job coordinating our group and I would recommend them. I had a lovely time taking a guided Northern Lights tour around the south of Iceland. All the sights to be seen were amazing, both during scheduled stops and just the drive times in between. It's an amazing country. Our guide was very knowledgeable. The organizer was also very responsive to email and all questions and problems I had were responded to promptly, including my request to have two extra days booked in Reykjavik after the tour ended. Highly recommended!